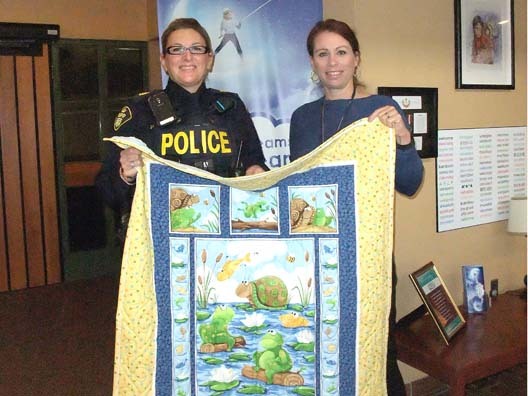 Thank you to Haldimand OPP and the Caledonia Fair Board for making a generous donation of handmade blankets to The Children’s Aid Society of Haldimand and Norfolk. Thank you also to the community members who entered these emergency safety and comfort blankets in the Caledonia Fair and then forwarded to us for children and families who need them. Pictured here is Sgt. Lisa Liegler of Haldimand OPP and Kelly Wright, Director of Services at the Society.